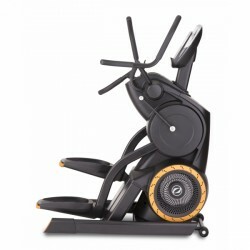 The new Octane elliptical cross trainer features a very good concentric run and an excellent workmanship. Due to the adjustable stride length (45 - 66 cm), it is suitable for users of different heights. The new SmartLink Technology makes the machine your personal coach via Tablet control. Choose your workout out of 70 programs. 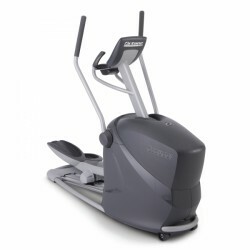 Experience the ultimate whole body workout with the Octane elliptical cross trainer Q35x. The first-grade elliptical cross trainer offers an ergonomic design, a large stride length of 52 cm, and demands you with 20 resistance levels and many exciting programs. The Q37xi offers those outstanding features you can and have to expect from Octane! Being a part of the revolutionary Q-Series, this excellent home elliptical cross trainer offers an extremely ergonomic training and diversified, target-oriented programmes. The Octane LateralX 8000 with its three-dimensional course of motion offers a very effective training of the hip abductors, hip adductors, and leg extension muscles. These muscle groups are about 30% more intensively trained than with an ergometer, elliptical cross trainer or treadmill. In combination with the training program and the optimal strength training, the 10 lateral adjustment levels offer a varied and exciting training. Multitasking is the motto! 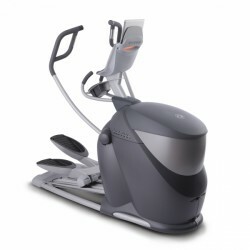 Either walking, running, hiking or climbing – the Octane elliptical cross trainer XT-ONE combines four types of movement in just ONE machine - it's revolutionary. 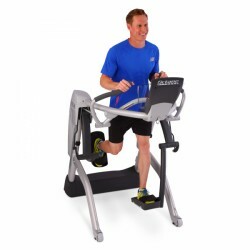 The SmartStride function of this 4-in-ONE machine allows the automated adjustment of stride length and incline throughout the movement. Several training programs offer additional diversion of the training. Moreover, the sturdy, stable XT-ONE combines ergonomic design with a high-quality workmanship. You will be inspired! 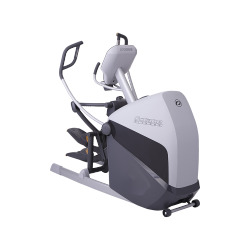 Octane Fitness is the sole manufacturer who concentrates exclusively on the development of elliptical cross trainers. Due to this professionality Octane Fitness is always successful in surprising with innovative, high-quality elliptical cross trainers. The elliptical cross trainers of Octane Fitness are regularly awarded with prizes and are always among the best in surveys. 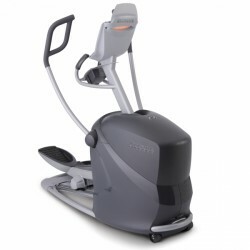 The high-quality Octane Fitness elliptical cross trainers were the most often sold "ellipticals" (in the US, thats the collective for elliptical cross trainers) in the American fitness business for the fifth time in a row in August 2010. 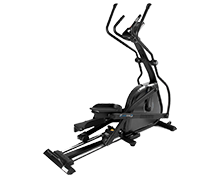 Due to the specialization in elliptical cross trainers and the experience for many years, Octane Fitness elliptical cross trainers achieve highest quality of their products. 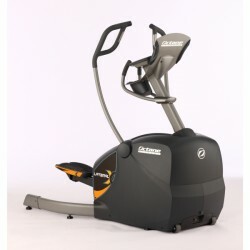 The elliptical cross trainers of Octane achieve the highest level in durability, design as well as training features. Perfect training results, which only few elliptical cross trainers offer, are possible with the Octane elliptical cross trainers thanks to the innovative technologies.